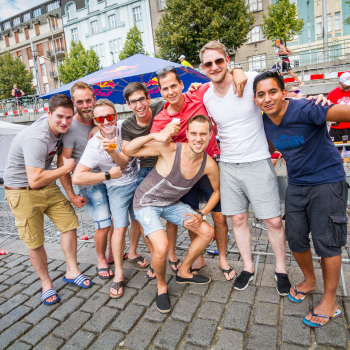 FORD CHALLENGEPRAGUE, 3rd year of the World series CHALLENGE FAMILY, takes place 27. 7. 2019 in Prague. Prague is one of the most beautiful cities in the world. It is worth to get to know it in person. Visit the Old Town Hall with the famous Prague Astronomical Clock. Relax in cafes enticing you to come and have a seat, taste traditional Czech beer in one of the small pubs or cross the Charles Bridge stretching over the Vltava river. 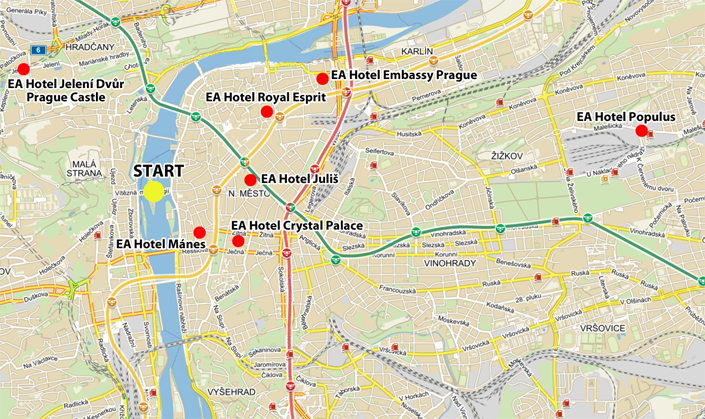 For participants of FORD CHALLENGEPRAGUE 2019, their company and fans, we have prepared an exclusive accommodation offer in cooperation with EA Hotels. You can choose from many hotels at a discounted price in many price categories. Choose an accommodation that suits your needs. For each of them, you will find the distance to the race start, route planner and also the possibility to order transfer from/to the airport. 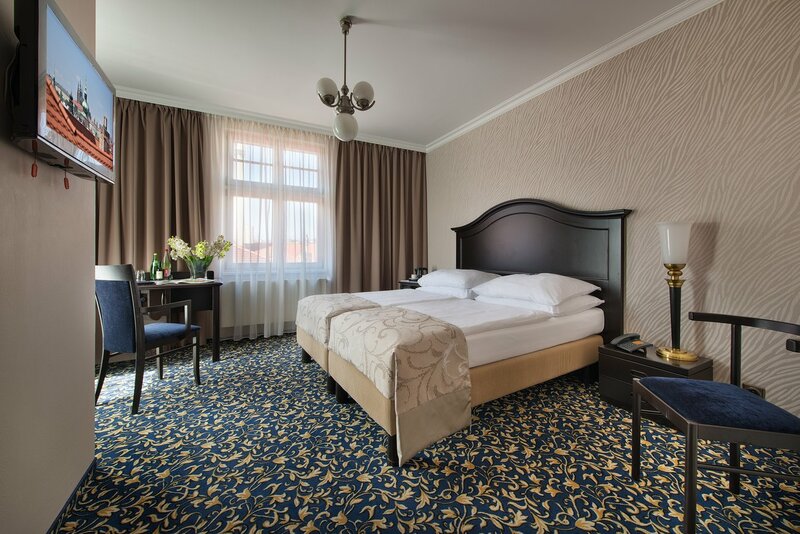 Charming hotel with a warm family atmosphere is located in the immediate vicinity of the Prague Castle with an outstanding transport accessibility to the city center and to the Václav Havel Airport Prague. 1720 CZK (approx. €69,-) / night (room for 1 or 2 people). Hotel is located in the center of Prague just a few steps away from Karlovo namesti (Charles’ Square) and from Vltava waterfront. It is offering its guests comfortable accommodation in generously sized and equipped rooms and suites. 2390 CZK ( approx. €96,-) / night (room for 1 or 2 people). 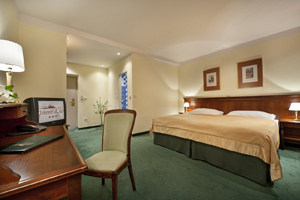 Hotel is located in the very centre of Prague, right on Wenceslas Square. The hotel is ideal for business travellers and leisure clientele. Hotel provides its guests with high level services. 3100 CZK (approx. €124,-) / night (room for 1 or 2 people). Hotel located in the center of Prague. The 1880 Neo-Renaissance building was re-designed in Art Deco style which was also adopted for the hotel interiors. 2750 CZK (approx. 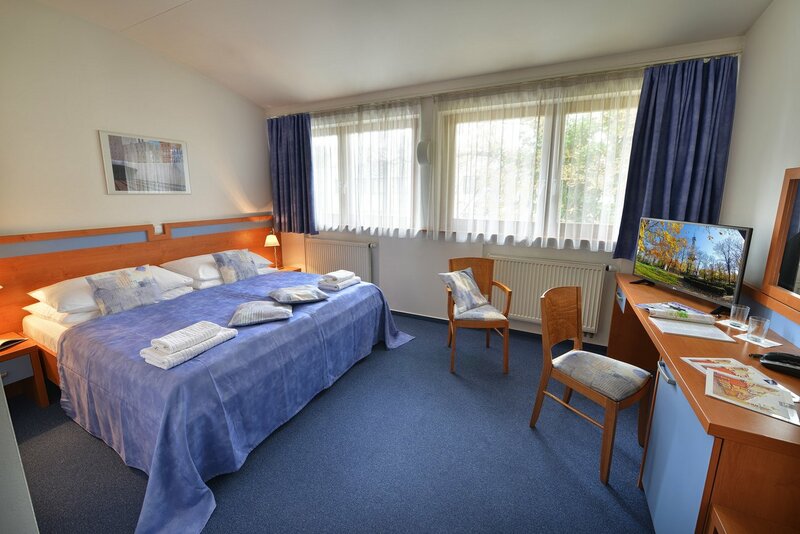 €110,-) / night (room for 1 or 2 people). Hotel is located right in the center of Prague, just a few steps away from Wenceslas Square and Karlovo náměstí, close to major historical, business and social sites of Prague. 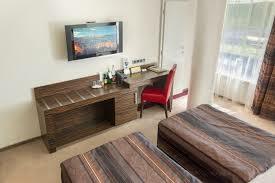 Modern hotel facilities offer luxurious accommodation and first-class services. 2390 CZK (approx. €96,-) / night (room for 1 or 2 people). 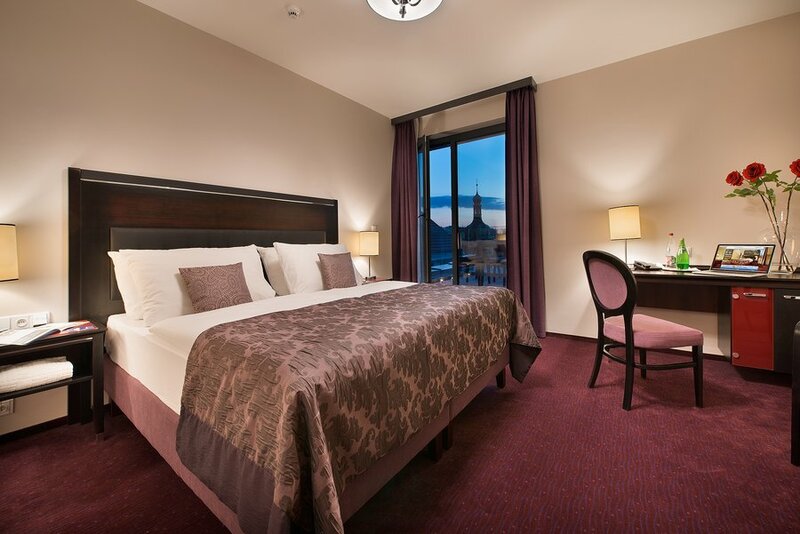 Hotel is located right in the historical, commercial and social center of Prague. Situated in an alley, the place is offering nice and quiet accommodation with an outstanding transport accessibility. 2730 CZK (approx. €109,-) / night (room for 1 or 2 people). 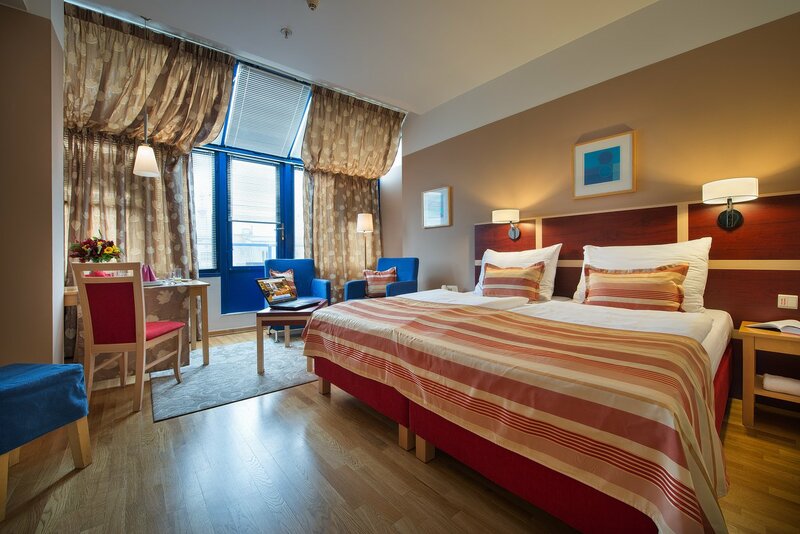 Hotel is situated in a quiet part of Prague called Žižkov, which is easily accessible from the city centre. Location provides guests with peace and tranquility. Guests can make use of the hotel spacious garden, located between two buildings of Hotel, for their relaxation. 1150 CZK ( approx. €46,-) / night (room for 1 or 2 people). 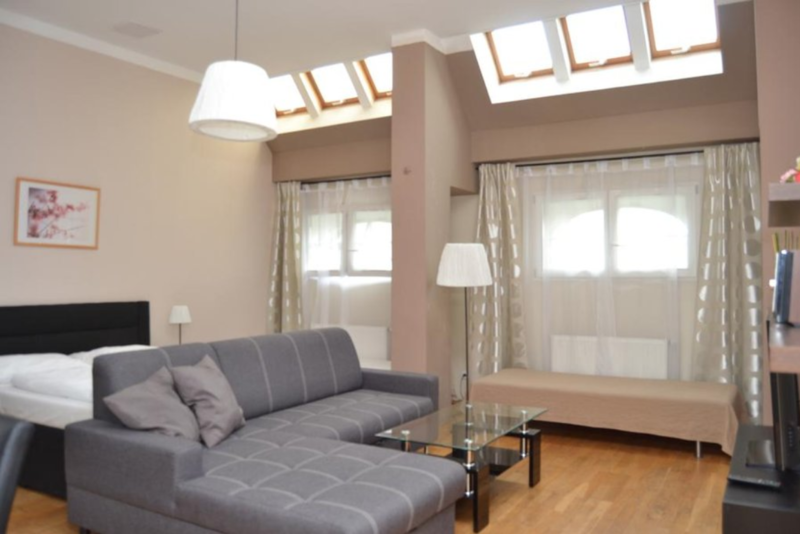 The apartments are located in the very center of the city on Wenceslas Square. These are separate apartments with a kitchenette or kitchen with refrigerator, dishwasher, induction hob, microwave, electric kettle, pots and pans, plates, cutlery, dining table and all basic kitchen utensils. SAT-TV, Wi-Fi, safe deposit. Some rooms with air conditioning, a balcony or a terrace. Transfers can be booked through the reservation form.